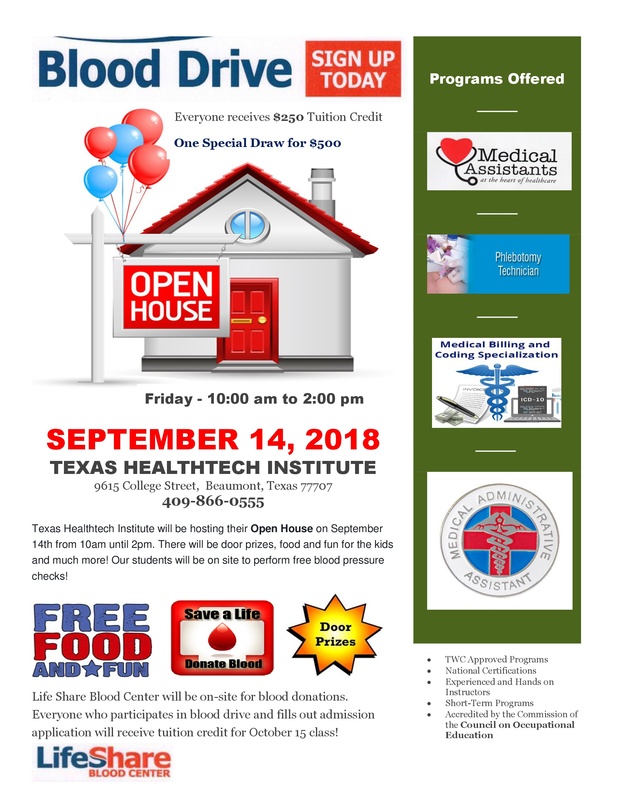 Texas Healthtech Institute will be hosting their Open House on September 14th from 10 am until 2 pm. There will be door prizes, food and fun for the kids and much more! Our students will be on site to perform free blood pressure checks! Potential students giving blood and signing for October 15th intake will get $250 waved off in tuition and a chance to enter for special draw for $500. Life Share Blood Center will be on-site for blood donations.